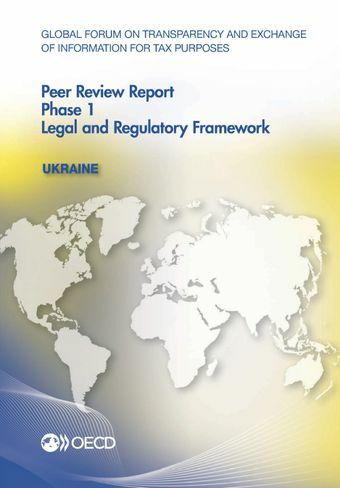 Ukraine’s legal and regulatory framework overall requires availability, access and exchange of all tax relevant information in accordance with the international standard. Nevertheless, certain room for improvement was identified in areas concerning availability of information on foreign companies and foreign partnership, foreign trusts administered in Ukraine, regarding retention period for accounting records and in respect of holders of limited number of bearer shares which are still in circulation. Ukraine is also recommended to clarify its law to ensure full access to banking information in line with the standard in all cases. Ukraine’s response to the recommendations, as well as the application of its legal framework and exchange of information practice will be considered in the next round of peer review of Ukraine which is scheduled to commence in the second half of 2018. To read the full report click here.